Smart business owners are always on the lookout for creative ways to keep their businesses in front of the eyes that matter. One way to keep your target audience aware of who you are and what you have to offer is by printing catalogs. Product catalogs are the perfect way to highlight your current offerings, but catalogs are also a great choice for people in the service industries. Park Press has been the premier catalog printer for nearly 50 years. Our nationwide printing services are used by businesses all of sizes, and our unwavering commitment to quality has earned us a long list of loyal clients who come to us again and again for all of their printing needs. Are Company Catalogs Right for My Business? This is the most obvious. You can highlight each and every one of your products. If someone runs across an item they like on a website, but aren't ready to buy right now, they may never think about it again. With a catalog, if something interests them, they are likely to hold on to the catalog so they can order later. A company catalog gives you the chance to show off pictures of your best work and to have a section explaining each type of service you offer. By producing a high-quality catalog, it's also a chance to highlight your professionalism. Homeowners are very likely to hang on to such a catalog as they know, at some point, they will need your services. Vets, groomers, and boarding facilities all have lots of competition. One way to keep your business in front of the eyes that matter—pet owners—is by printing a catalog. Fill it with pictures, a list and explanation of your services, and anything about your business that helps you stand out from the crowd. Cosmetic and plastic surgeons have a lot of people who come in for a consultation but aren't quite ready to schedule their surgery. Sending those potential customers away with nothing more with a business card is a bad idea. Instead, give them a colorful catalog filled with before and after pictures, tips for preparing for surgery, and customer testimonials. They are more likely to keep that then they are to keep a business card, and they'll be reminded of your practice when they are ready to move forward. Brides spend money. This is a lucrative industry, but it's also one that is filled with so much competition that finding a way to catch a bride's attention is a must. When you attend bridal expos or meet one-on-one with a potential client, have a beautiful catalog filled with your work that you can give them. Include some wedding planning tips or a simple to-do checklist, and the brides are very likely to keep and refer to your catalog as she plans her wedding. You can even go in with non-competing businesses to reduce the cost of printing a catalog for the bridal industry. As you can see, the possibilities are endless! While digital marketing is absolutely essential for any business, print is definitely NOT dead, and you need to include print material in your marketing plans. 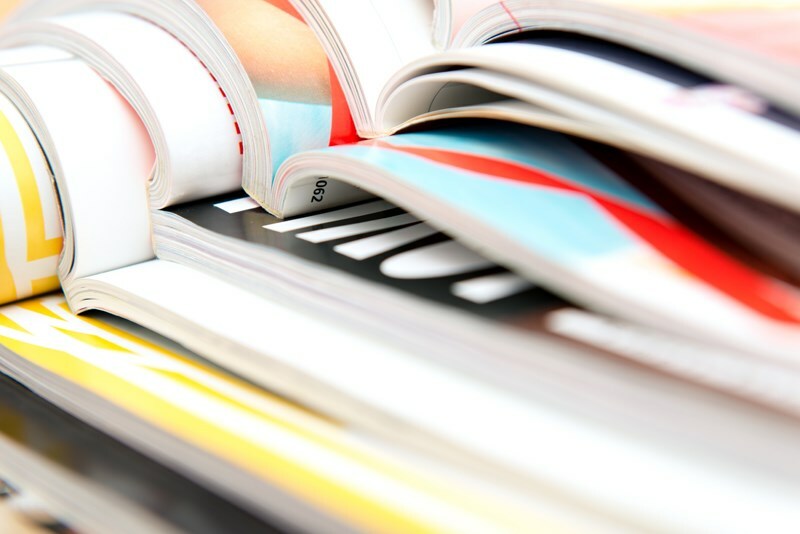 We offer press-glued catalogs and perfect-bound catalogs, and we will work with you to make sure that your printing job is completed beautifully. In the end, you'll have a high quality, impressive catalog to hand to every customer and potential customer. Don't miss out on one more sale! Contact Park Press today to learn more about our catalog printing for small businesses. Give us a call or fill out our online contact form to receive your free, no-obligation estimate.